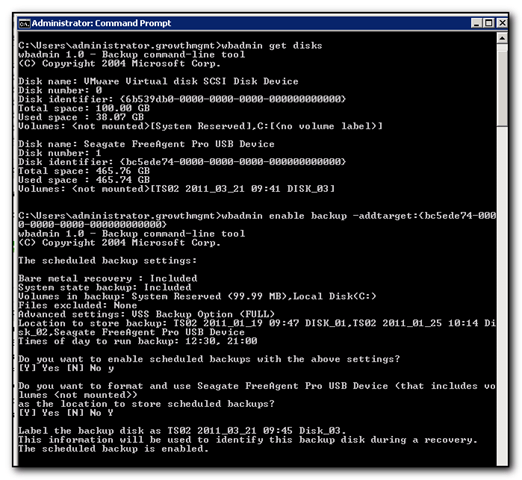 Fixed – “The filename, directory name, or volume label syntax is incorrect" when you add a hard drive to Windows 2008 R2 backup – Absoblogginlutely! Thank you this worked like a charm. Surprised MS hasn’t fixed this. i don’t know how to find this solution. Thanks a lot Andy, that is quite helpful. I am really thank full for your quick reply. I have a serious problem with installing the software named EarMaster.School.v5.0.0.634SW. I encounter with the error of “The filename, directory name, or volume label syntax is incorrect. andy i have same prob like teddy i have unblock the file but again the error show file name, directory name and label syntex incrrect………….plz help me………. Arry – I don’t think this has anything to do with the original blog post, but let me know exactly what the error message is and I might be able to help. Perhaps send me a screen shot?